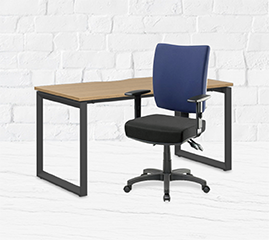 Online shopping with Officeworks is quick, easy and enables you to purchase the widest range of office products at the lowest prices, from the convenience of your home or workplace. Placing an online order with Officeworks is as easy as following these quick steps. Browse our wide range of products or search for a particular product via our search bar. Click on the item to read more detailed product information and customer reviews or simply click 'Add to cart' to purchase. The product will then be automatically placed in your shopping cart. At the top right-hand corner of the screen you can either see what's in your shopping cart by clicking 'view cart' or proceed to purchase by clicking 'checkout'. By clicking the 'checkout' button you’ll be taken to your shopping cart and shown a listing of the items you wish to purchase. It's now time to select your preferred delivery method. You can choose to pick up your products in store for free by clicking 'in store pickup'. Or you can have them delivered to your home or office by clicking 'delivery' and providing your postcode for an estimated delivery fee. An estimated total cost will now appear at the bottom of your shopping cart. Once you’ve chosen your delivery method, click 'continue checkout' to proceed. If you chose to have the items delivered to your home or office, you’ll be asked to fill in your address and delivery instructions. Then proceed by clicking 'continue checkout'. Next you'll need to provide your payment details. You can choose to pay by Credit Card or PayPal. Finally you'll need to review that your order details are correct before clicking 'submit'. An email confirmation will then be sent to your nominated email address for your own records. If you still have any questions or concerns about tracking your online order, simply call our Customer Service Team on 1300 633 423. If you're flipping through one of our latest catalogues and find something you like, there's now an easier way to order it online. Click the ‘Add by Product Code’ button to the bottom left of the list. Enter the Product Code in the text field. The website will display a list of any products that match that Product Code. Click on the product you’re after to add it to your Cart. Update the quantities in your Cart, if required. When you’re ready, proceed to checkout as you would with a regular online order. Keep in mind your invoice doesn't include any items that were unavailable at the time the delivery was made. These items will be placed on 'back order' and a separate invoice will be sent for these items once they become available again. This can often explain why the amount you've been invoiced is different to the amount that has been charged to your Credit Card. Back orders are available when a particular item is out of stock. If you've already paid for the item it can take up to 10 business days before you receive it. If you haven't received it after this time please call our Customer Service Team on 1300 633 423 and they will be able to follow it up for you. To cancel something you currently have on 'back order', you'll also need to call our Customer Service Team on 1300 633 423 to process the cancellation or organise a suitable, alternative product. We've put together some quick definitions to help you understand the terms used throughout the Officeworks online shopping experience. In store only: This product is only available for purchase in store. Online only: This product is only available for purchase online and cannot be bought at your local Officeworks store. All online orders require payment upfront and will be delivered to your nominated address. Available for back order: This item is currently out of stock, but can be ordered and paid for and then delivered separately when the goods are in stock. Out of stock: This product is currently out of stock and is not available for purchase. Clearance: This product is low on stock and has been priced to clear. At Officeworks, we're committed to ensuring your data, personal identification and payment information is always handled safely and securely. If you're experiencing concerns or security warning pop-up messages during the online ordering payment process, don't stress. The following three online payment issue scenarios will help you move through the online ordering process quickly and without a worry. Are you experiencing security warning pop-up messages? When you reach the Payment step in the checkout process and if you’re using Internet Explorer browsers (IE6, IE7, IE8), you may be presented with a security warning pop-up message. Please verify that the address displayed in the security warning pop-up message is included in the list above before proceeding by clicking the 'yes' button. Would you like to ensure you don’t receive security warning pop-up messages in the future? These Officeworks sites have now been added to your Trusted sites list and will be recognised by your browser. Please note:if you are within a network you may need to ask you network administrator to add these sites to the Trusted site list. You may encounter an advisory pop-up screen that relates to Secure Connection (SSL) certificates when making a payment during your online order. In most cases, this will be a security warning that the SSL certificate was not issued by a trusted certificate authority and may occur because the security certificate is not listed in the ‘Trusted Root Certification Authorities’ list in Windows. Keeping your certificates up-to-date by visiting the Microsoft website at http://support.microsoft.com/?kbid=931125 and following the link 'Download the rootsupd.exe package' to download and run the update. Running 'Windows Update' and applying all the recommended updates, which will include updating the trusted root certificates. Some browsers may have cached our old and outdated Payment Details page. As a result, you may receive an error message saying 'Payment submission has expired. Please re-select payment type.' And upon clicking the 'OK' button, you are automatically redirected to the Payment Selection page again. You cannot cancel your online order once it has been paid and processed. You are however entitled to return your purchase after you receive it, if the item remains unopened in its original packaging and you provide proof of purchase. Simply take the item and your receipt to your local Officeworks store or call our Customer Service Team on 1300 633 423 to have your item refunded. Can I price match online? No, you cannot price match items online. You can only price match in store at your local Officeworks store or by calling 1300 OFFICE (633 423). Can I use my Gift Card when ordering online? Unfortunately Gift Cards can only be redeemed for purchases made in store. How do I know Officeworks have received my online order? Once you have placed your online order you’ll receive a confirmation email to your nominated email address that contains all your order details. What should I do if my order doesn’t arrive? If you have not received your order within the specified timeframe, please call our Customer Service Team on 1300 633 423 from Monday to Friday between 8am and 8pm. Your Credit Card will be charged once you complete the online order process. This includes ticking the box that says 'I accept the general terms and conditions' and clicking 'Order Now' on the order confirmation page.